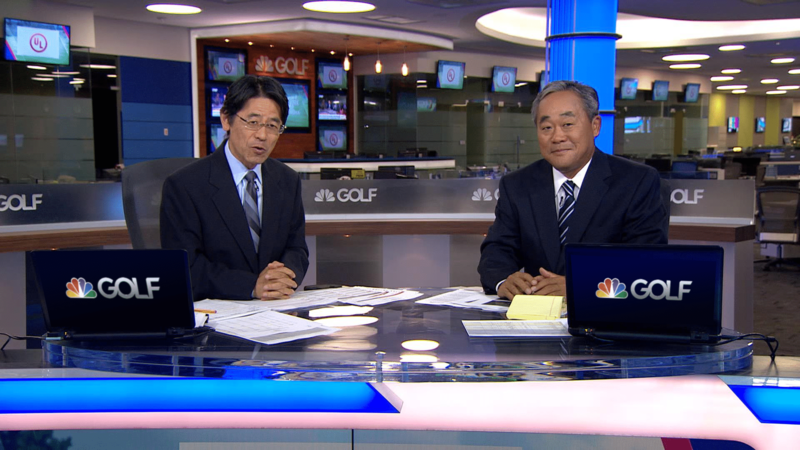 Golf Channel and NBCUniversal announced two new business today deals in Japan as the buildup for the 2020 Olympics in Tokyo continues. Arnold Palmer, co-founder of Golf Channel over two decades ago would be proud of this innovative NBCU International Distribution of the game he helped pioneer as a top PGA golfer. The strategic agreements are aimed at the younger Japanese demographics in the 18-34 year old range through an OTT digital platform on AbemaTV, Inc., and a partnership with linear TV platform WOWOW featuring LPGA and European Tour coverage. The Sports Techie community blog continues to deliver sports tech related coverage and stories around the world this time with an emphasis on our overseas readers and followers across Asia. AbemaTV is a free and over-the-top digital platform application funded through advertising. This recently launched golf focused stream plans to fit in with current soccer, baseball and professional wrestling video offerings. “Golf is a global game, and Golf Channel’s deep commitment to covering all facets of the sport helps to serve golf fans around the world through partners like AbemaTV and WOWOW,” said Phil Piazza, Golf Channel Senior Vice President, Programming. 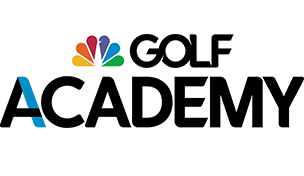 The NBCU and AbemaTV agreement features streaming of Golf Channel programs such as: tournament coverage of the LPGA and European Tour, in addition to a variety of insightful news and top instruction programming, including Golf Central, The Golf Fix and Golf Channel Academy. Golf fans, players and instructors will immediately benefit from the partnership with Adema TV because of the instant access viewers have to a consistent lineup of compelling golf programming, commencing with the opening of the 2017 LPGA Tour season. AbemaTV counts over 10 million downloads and has experienced unparalleled growth since their April 2016 launch, in particular the 18-34 millennial aged adult demo. The relationship with Golf Channel enables strategic collaboration with marketing programs, technology integrations and branding promotional branding opportunities with regards to programming assets generated within the AbemaTV app. “The appeal of golf programming continues to grow around the world,” said Belinda Menendez, President, NBCUniversal International Distribution & Networks. Linear TV platform WOWOW plans to significantly increase awareness across Japan of the LPGA Tour events for their almost 3 million subscribers showcasing the Golf Channel’s production of all North American LPGA events. WOWOW’s existing golf programming efforts is augmented by the partnership allowing the company to stream original content programming developed by the Golf Channel through the use of proprietary tech. “We’re pleased to have the opportunity to expand upon our existing relationships with AbemaTV and WOWOW through these new agreements, partnering with them in delivering top-quality golf and sports content,” added Menendez. Golf Channel is a multimedia, golf entertainment and services company based in Orlando, Fla. Serving the most-affluent audience in all of television, Golf Channel – co-founded by Arnold Palmer in 1995 and now part of NBC Sports Group – is available to nearly 500 million viewers in 73 countries and nine languages around the world. Golf Channel features more live golf coverage than all other networks combined, including tournament action from the PGA TOUR, LPGA Tour, The Open, Olympics, and Ryder Cup, as well as high-quality news, instruction and original programming. Golf Channel Digital delivers unmatched coverage of the world of golf. Fans are able to enjoy 24/7 live streaming of Golf Channel content through Golf Channel Mobile and the NBC Sports App, both powered by Playmaker Media. In addition, Golf Channel connects the world to golf through a wide array of digital and lifestyle services including Golf Channel Mobile, a comprehensive app covering golf’s latest headlines, scores and analysis; GolfNow, the world’s largest online tee time booking platform and golf course technology partner, which includes the GolfNow Mobile App, featuring on-course GPS tracking, in-round scoring and game tracking; GolfAdvisor.com, the world’s largest golf course ratings and review resource for golfers, by golfers; a North American network of Golf Channel Academy instructional facilities; and Golf Channel Am Tour, the world’s largest amateur golf tour. In the U.S., Golf Channel in 2016 matched its highest-rated year ever for the third consecutive year (.08 U.S. household rating, 24-hour total day 6AM-6PM) since the network was founded 22 years ago. Since becoming part of NBCUniversal in 2011, Golf Channel has scored its six best years ever and has increased ratings +60% and viewership +53% over that span, according to data released by The Nielsen Company. Viewership growth was driven in part by millennials with impressions for persons 25-34 increasing +33% in total day, a mark that has doubled over the past two years, as well as +43% in primetime. Also in 2016, Golf Channel continued as the No. 1 most-affluent ad-supported television network in both total day and primetime for the third consecutive year with the highest median household income. Skewing (18-34 Demo) Viewers of the OTT Digital Platform. Sports Techie, Arnie loved being an ambassador of the game as well as possessing an astute mind for business as testament to the Golf Channel network and his many product endorsements. Did he foresee that expansion into Japan specifically designed for millennials was on the horizon? I believe so because golf has a strong presences and influence on both the Asian and Japanese communities. With the 2020 Olympics a mere three years out, I like the idea of a digital grassroots presence implemented by NBC and it’s golf partners to help foster the next young Japanese female superstars. Both girls and boys can now watch pro golfers on their smartphones and tablets to help them learn about the game and improve their performance with Golf Channel programming on AbemaTV and WOWOW. I hope to visit Japan one day and when I do, I’ll be sure to take in the culture of golf.